Mortgage market reaction to the Fed press release is, in general, negative. Mortgage rates are rising this afternoon. With more homes coming online, competition among home sellers should increase, and that will suppress the rise in home prices nationwide. Conforming and FHA mortgage rates improved last week on the combination of weaker-than-expected economic data and new anti-banking rhetoric from the White House. The S&P 500 shed nearly 4 percent in its worst weekly showing since October 2009 as all 10 sectors fell. As the money left stock markets, it made its way to bonds — including the mortgage-backed variety. As a result, mortgage rates fell for the third straight week. Since shedding 300 basis points in December, mortgage bond pricing has recovered a bit more than half of those losses. It’s helping with home affordability and opening new refinance opportunities around the country. This week, though, mortgage rates could rise back up. There’s a lot going on. Therefore, don’t be surprised by the newspaper headlines you see Tuesday morning. Other data this week includes the Case-Shiller Index — a measure of home prices nationwide — and the New Home Sales report. The Case-Shiller Index has registered mild home price improvement over the past 8 months and its latest report is expected to show the same. New Home Sales should be similarly strong. 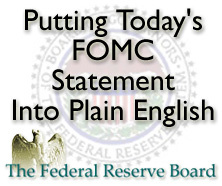 But, the biggest news of the week is the first Federal Open Market Committee meeting of 2010. The Fed meets Tuesday and Wednesday this week and Wall Street will be watching closely. The Fed is not expected to change the Fed Funds Rate from its current target range of 0.000-0.250 percent, so, instead, markets will watching for the Fed’s post-meeting press release. What the Fed says about the economy will be much more important that what it specifically does about the economy for now. 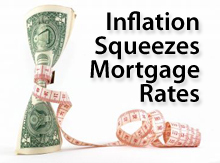 If the Fed says the economy is growing as expected, look for mortgage rates to rise. Conversely, if the Fed says the economy is at risk, expect mortgage rates to fall. 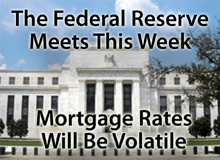 The safest rate lock strategy this week is to lock your mortgage rate before the Fed’s 2:15 PM ET adjournment Wednesday. Rates will be bouncy all week, but once the Fed’s press release hits the wires, it’s anyone’s guess what will happen. Securing an FHA mortgage is about to get more expensive. In a statement issued Wednesday, the Federal Housing Authority outlined policy changes to its mortgage assistance program. The shift is meant to both reduce the government group’s portfolio risk while strengthening its overall financials. 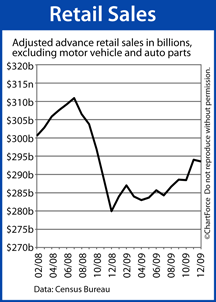 For consumers, the changes mean higher costs. Furthermore, the FHA has appealed to Congress to raise an FHA borrowers’ monthly mortgage insurance premiums. To read the FHA’s statement, it’s clear what the group is trying to balance. On one side, the FHA wants to provide affordable financing to families that need it. That’s its mission statement. On the other side, though, the FHA must manage the risk that comes with insuring lesser-quality loans. To that end, the FHA is stepping up its enforcement of “bad lenders” in hopes of stopping problems where they start. Also in its new policies, the FHA is introducing a “termination clause”. If banks or loan officers that produce more than their fair share of bad loans, they lose their right to originate FHA mortgages. As a result, homebuyers should expect tougher FHA underwriting in 2010. Not because the FHA says so, necessarily, but because banks don’t want to do “bad loans”. Lenders are incented to turn down at-risk applicants and, already, we’re seeing examples of this. Despite FHA allowing 580 FICOs and lower, many banks have made 620 their minimum. Some have other guideline overlays, too. 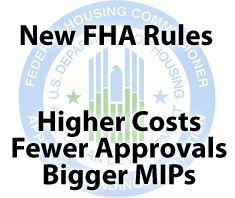 The FHA’s new guidelines don’t go into effect until spring. So, between now and then, the old guidelines will apply. Therefore, if you know you’re going to need an FHA home loan in the next few months, consider moving up your time-frame. If nothing else, you’ll save some money at closing. 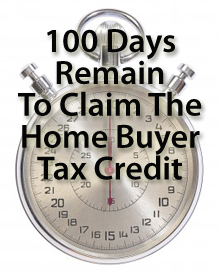 The expiration date of the up-to-$8,000 tax credit has been pushed forward to spring, requiring homebuyers to be under contract for a home no later than April 30, 2010, and to be closed no later than June 30, 2010. Luckily for rate shoppers, mortgage rate momentum was favorable. Rates were slightly lower Monday through Thursday before breaking downward Friday afternoon. Home shoppers this past weekend caught a nice break. So far, 2010 has been for mortgage rates around the country. If you’re in need of a rate lock, this week may be a good time to take one. 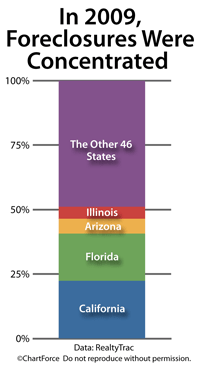 Foreclosures are still prevalent, though, and buying homes in foreclosure continues to be big business. First-time buyers, move-up buyers, and real estate investors each are bidding aggressively. Second, buying a foreclosed home isn’t as streamlined as buying a “normal” home. Closing on a foreclosure can be a 120-day process or longer. A 4-month time-frame may not fit your schedule. Read the complete foreclosure report and take a peek at RealtyTrac’s foreclosure heat maps. Give me a call or shoot me an email if you’d like more information. There are still plenty of good deals in the foreclosure market — especially in the mid to higher price ranges. Conversely, the best place to find safety is in the market of government-backed bonds. This world includes products like U.S. Treasuries and many of the mortgage-backed bonds that help set mortgage rates. Weak economic data puts mortgage bonds in demand. For home buyers around the country, though, today may represent an opportune time to lock a mortgage rate. 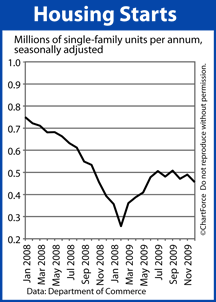 Housing data is still improving and other economic indicators are showing strength. Soon, Wall Street will shift from a “safe” mentality and move toward risk. Despite the headlines, it’s important to remember that December’s jobs report wasn’t all bad news. Sure, the economy shed 85,000 jobs last month and the Unemployment Rate failed to dip below 10%, but for home buyers and rate shoppers , the news was just fine. There are two sides to every economic coin. 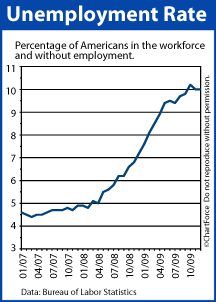 And this is why Friday’s non-farm payrolls report was so good for buyers. See, in November, the economy added new jobs for the first time since 2007, housing looked strong, consumer confidence was growing. The safe haven buying reversed and mortgage rates took off. Analysts believed the nation’s economic turnaround was complete. But now, after December’s jobs report returned to the red, Wall Street is forced to rethink its position. Safe haven buying is back and mortgage rates are lower because of it. Data was sparse through 2010’s first trading week last week, setting the stage for a week of momentum trading. In up-and-down trading, mortgage pricing improved overall but the best rates of the week didn’t last long. Rates improved Monday and Tuesday as an oversold market corrected itself to better price points. Then, in anticipation of the December jobs report, rates worsened Wednesday and Thursday. Friday, after the jobs report was released, pricing proceeded to carve out a huge range before settling unchanged. On average, lenders issued new rate sheets every few hours last week. It was a difficult week to shop for mortgages. Unfortunately, this week doesn’t figure to be much better. For the second straight week, the economic calendar is bare. Traders — like last week — will be forced to rely on “gut feel” to make their trades. That rarely bodes well for shoppers. Especially because traders are facing a mortgage market in the midst of a terrible losing streak. Since reaching an all-time low December 1, 2009, 30-year fixed rate mortgages have worsened by 300 basis points, or 3 percent. 1 point is equal to 1 percent of your loan size. Last month’s worsening is the worst 1-month deterioration in consumer mortgage rates from all of 2009. 3 Fed members are speaking. Each mention of economic under-performance in 2010 will be good for rates. 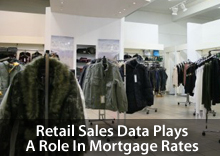 Retail Sales data is released Thursday. If the numbers are weak, mortgage rates should improve. Consumer confidence surveys are released Friday. Lower confidence levels should help rates fall. Be ready to lock at a moment’s notice this week. Rates may rise or fall, but markets are positioned toward the former.That’s where momentum is pointing as of the Market Open today. Keep an eye on rates and your loan officer on speed dial. Once the mortgage market starts breaking, it’s expected to break quickly.